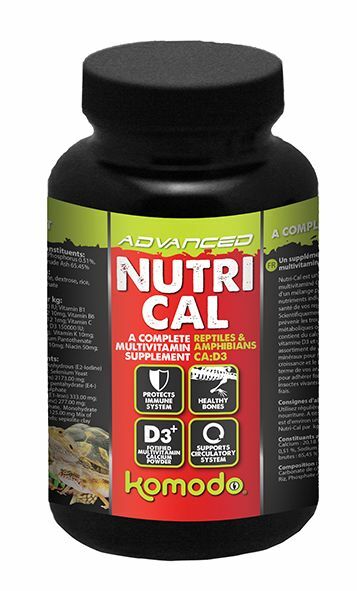 Nutri-Cal is a complete multivitamin, packed with a precise balance of key nutrients essential for reptile health. Scientifically formulated to aid in the prevention of metabolic bone disease. 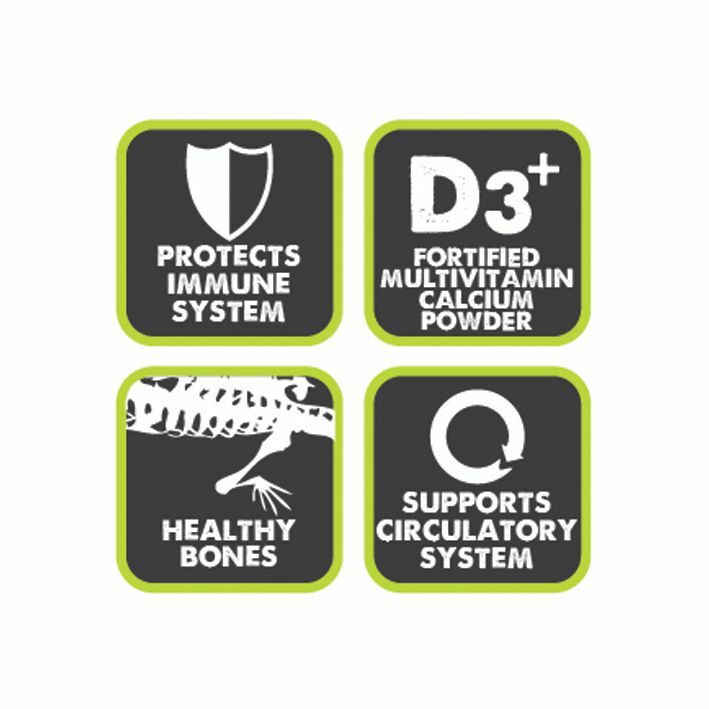 Nutri-Cal contains calcium, D3 and a broad complex of vitamins and minerals to support growth and long term well being. Nutri-Cal is an important tool in the feeding regime for the majority of tortoises and lizards. Designed for maximum adherence to live insects and fresh plant food. Nutri-Cal can play an important part of reptile nutrition alongside a varied & healthy diet & correct basking temperatures. Together they are essential to enable proper & efficient digestion in reptiles. It is advisable to always apply supplements to reptiles food at every meal. At times when Nutri-Cal is not being used, we recommend replacing it with Komodo’s Calcium Dusting Powder.